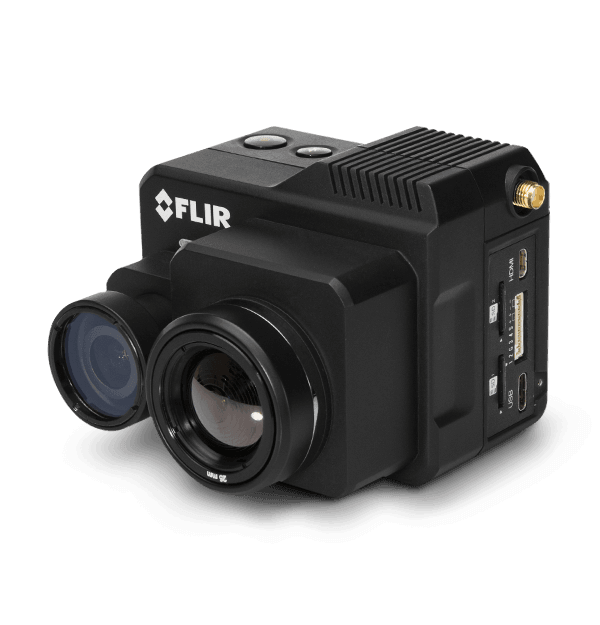 FLIR przedstawił swój nowy produkt FLIR Vue, niedrogie kamery termiczne, które są dostosowane specjalnie dla UAV. Ta mała, lekka kamera termowizyjna jest przeznaczona do łatwej integracji z dronami. Dołączony kabel mini-USB kompatybilny z GoPro oferuje zasilanie 5 V DC i zapewnia analogowe wyjście wideo obrazu termowizyjnego do OSD lub transmitera wideo. Flir VUE jest bardzo łatwo podłączyć! Lekka konstrukcja (72 g) nie ma negatywnego wpływu na środek ciężkości lub czasu trwania lotu. Termowizyja stała się nieoceniona w operacjach powietrznodesantowych, a teraz UAV dla zastosowań komercyjnych mogą skorzystać z zalet termowizji. Wszystkie konfiguracje zostały już zrobione, po prostu podłącz i leć ! Najlepszą ze wszystkich informacji jest cena MSRPs tylko € 1.499 dla kamer o rozdzielczości 336 i € 2.999 dla kamer o rozdzielczości do 640 kamer FLIR Vue jest dostępna dla dzisiejszych komercyjnych aplikacji. 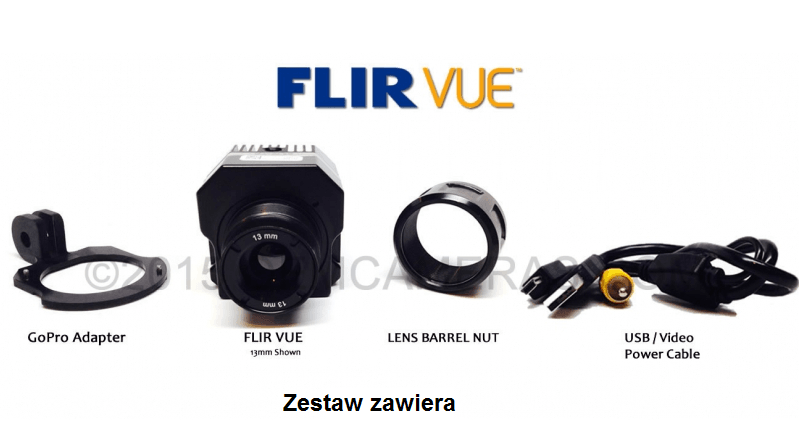 Q: Jakie są wejścia zasilania i video w FLIR VUE ? A: Vue has a 10-pin mini-USB connector that you can use to supply the camera with 5VDC power and get its analog video signal out. This connector has the same pinout as the GoPro 3/4 cables you can find from most leading drone supply and FPV retailers, so using one of those makes integration quite easy. These cables take two basic forms – one has a combined ground, and the other uses discrete grounds for power and video. For cables with a combined ground, like those for use with ImmersionRC and compatible video transmitters, the transmitter’s input/output cable provides a regulated 5VDC to the camera, while the same harness feeds video to the transmitter. Other cables, like the Tarot TL68A10 shown here, use discrete grounds, which may be more desirable for your installation. Note that if you use this type of connection you must verify that you’re supplying the Vue with a clean 5VDC supply, as the camera has no internal power conversion circuitry. Q:Jakie są wymagania zasilania kamery ? A: The FLIR Vue operates on 5VDC with a steady-state power dissipation of 1.2W. IMPORTANT NOTE: Pay close attention to your power system’s voltage and polarity when connecting your Vue. Vue does not include over-voltage or reverse polarity protection. Input voltage of more than 6VDC will damage the Vue and may invalidate your camera’s warranty. A: Vue has a number of different mounting options. First, there are two M2x0.4 threaded mounting holes the camera’s left side, right side, and bottom (note that the mounting screws are not included). There is also a ¼-20 threaded insert in the top of the camera housing. Finally, a lens mount can be installed to allow the camera to be mounted with GoPro-compatible mounts. 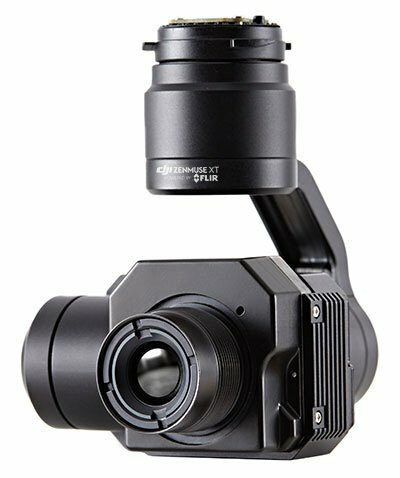 See the Vue User Guide, which is available on the FLIR Vue webpage, for more details on installing this mount. Users can take advantage of any of these mounting options to either hard-mount or gimbal-mount the Vue. Not yet, though a few are in the works. However, the existing mounting options mentioned above should provide ample methods for mounting to any number of existing third-party mounts or gimbals. A: No. Because the optimal transmit power and frequency can vary so widely from one application to another, the choice of which type of transmitter to use has been left up to the user. The camera does output a standard analog video signal, however, and it has been successfully tested on all of the common video systems in use today. Q: Czy użytkownik może zmieniać palety lub inne funkcje podczas lotu ? At this point the FLIR Vue does not permit external control of its serial commands. However, many of the camera’s functions can be configured in the standard Tau Camera Controller GUI that is available on the Vue website (www.flir.com/flirvue). Q: Czy mogę zmienić ustawienia początkowe kamery? Q:Czy FLIR VUE ma wyjście danych cyfrowych ? A: The Vue is outputs standard NTSC or PAL analog video, not digital data. 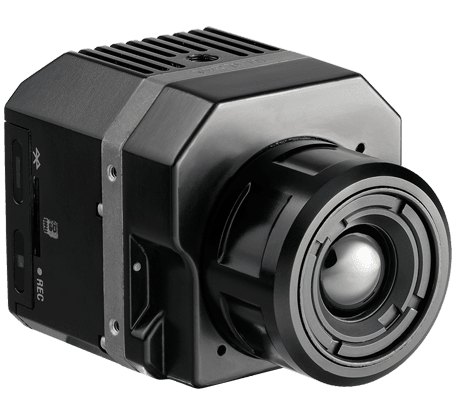 For markets outside the USA, FLIR offers <9Hz camera solutions in both NTSC and PAL analog video. Q: Mam ubrudzoną bądź zakurzoną optykę.Jak mogę ją wyczyścić ? A: The best method for cleaning all optics are to use air whenever possible. Forced air in a spray can works well to remove the majority of dust in corners and hard to reach spots. The next best tool is a soft lens brush used to whisk away dust and debris. If you must resort to using a liquid for cleaning the optic, use only non-ammonia based cleaners. Ammonia based cleansers may damage the coatings of your optic. Q: Czym FLIR VUE różni się od FLIR TAU 2 ? 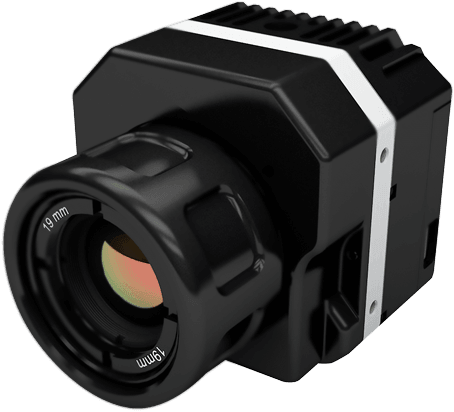 A: The FLIR Tau and Tau2 are calibrated over a wider temperature range than FLIR Vue, additional AGC’s and Color Palettes, and provides for digital data. 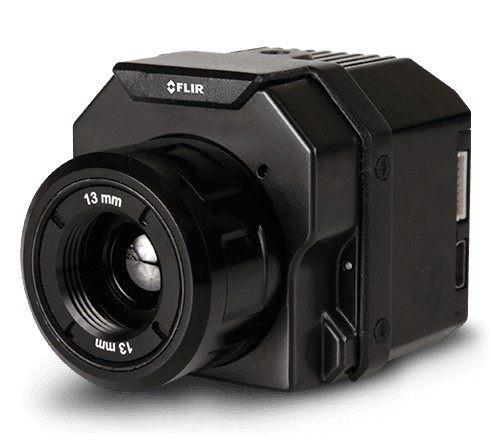 The FLIR Vue is only calibrated for commercial temperature ranges and is an analog system that provides no digital output. Q:Jaka jest różnica między pełną częstotliwością a częstotliwością eksportową kamer? A: Exportable Frame Rate cameras output a video signal that doesn’t use the full 30 or 60 Hz frame rate of the camera, so it may look a little choppy during fast maneuvers. This is a restriction placed on thermal imaging technology by the US Government. 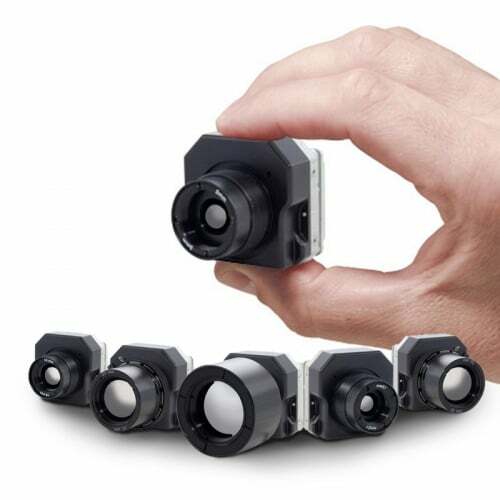 While the exportable Frame Rate cameras output video that looks different, there is no inherent difference in image quality or sensitivity between the cameras. A video showing a comparison between the two types of cameras is available here. This video was taken with two cameras mounted to a quadcopter simultaneously, to give you a realistic idea of how an Exportable camera differs from a Full Frame Rate camera when hard-mounted to a multirotor aircraft. Note that mounting an Exportable camera to a brushless gimbal greatly mitigates the apparent differences between the two. Q: Czy mogę usunąć logo FLIR przy transferze obrazu ? A: No, the FLIR logo will be displayed on the Vue’s video output and cannot be removed. 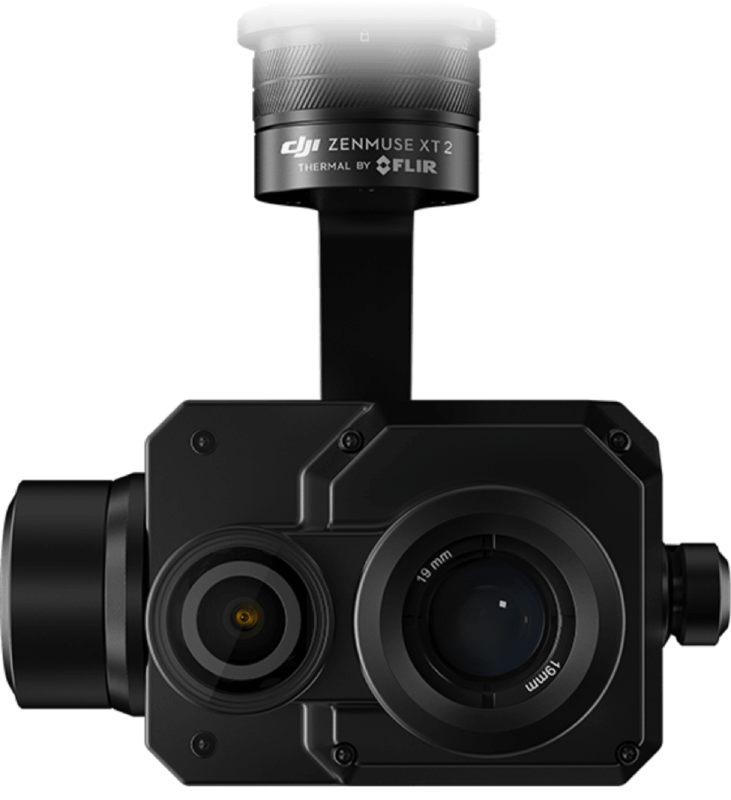 Q: Czy mogę użyć gimabli DJI Zenmuse H3-3D lub H4-3D ? A: Possibly, but it will take a fair amount of work. As the name implies, these gimbals are designed to work with GoPro® Hero 3® and Hero 4® cameras respectively. 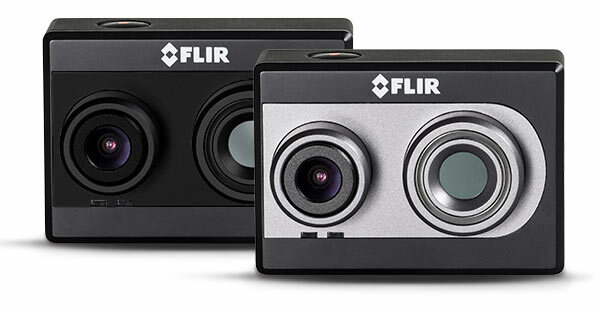 Even though the FLIR Vue is not significantly heavier than either the Hero 3 or Hero 4, its shape is quite a bit different. This means that the area where the Vue could sit on these gimbals is very small, and the bracket designed to hold the GoPro on the gimbal back plate won’t fit around the Vue. It is possible to fashion some sort of mechanical interface that would hold the camera to the gimbal back plate, but FLIR does not supply this mechanism. Once the camera is mechanically attached to the gimbal, the other issue is that the Vue’s center of gravity (CG) is significantly farther forward than is the GoPro’s CG, requiring the use of a counterweight to balance the gimbal. Take care that the counterweight does not become so heavy that it stresses the gimbal motors. A: The FLIR Vue can be very effective at seeing through smoke, allowing incident commanders to keep track pf personnel and vehicles when they would otherwise be blinded by dense smoke. It can also be used to find residual hot spots around a fire area after the fire itself has been contained. However, because the sensor’s maximum specified operating temperature is +50ºC (+122ºF) the image could become saturated when viewing an active fire.